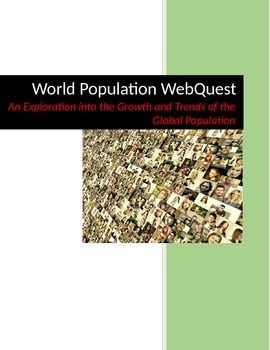 In this WebQuest, students will explore 8 different resources all dealing with the Earth population and sustainability. Students will examine births per second, deaths per second, population projections, and differences between the world's developed and undeveloped countries. WebQuest comes complete with answer key. Internet access required. WebQuest promotes critical thinking skills and excellent in-class discussion.